Tuesday was the big day. THE HIDDEN CORPSE was released and that meant I’d be busy, busy, busy. Busy checking on social media, busy finishing the outline for Resale Boutique Mystery #3, busy stressing out if readers will love Hope’s latest adventure, busy updating my resume because readers are going to hate Hope’s latest adventure and my publisher will have no choice but to cancel all future books. To say that the thoughts in my head were racing a hundred miles an minute would be an understatement. It was like rapid fire. Who posted what? What did I have to share? How was my ranking? Why all of a sudden did my outline for the new book feel flat? What skills do I have to put on my resume? Did I give Billy all of his eye drops? What? A new idea? Geez. I don’t need new ideas because my writing career is over. Wait. What am I going to wear to my booksigning in two weeks? Booksigning as my career crumbles? Might as well go out with a flourish. By the time I went to sleep my mind was exhausted. It had been on hyper-alert all day. I can’t even imagine if I was on Twitter. Facebook and Instagram was more than enough for me. On Wednesday morning I woke feeling somewhat refreshed from a good night’s sleep (total miracle because I have no idea how that happened). But when I woke my mind started reeling again with all the same thoughts from the day before. It was clear I needed something to quell all those racing thoughts or else I’m not sure how the day was going to go. I still needed to work on my outline. I decided yoga is what I needed to do in order to reboot the start of my day. I found a morning yoga session on YouTube and for eleven minutes my mind was solely focused on the practice. Eleven minutes sounds like nothing. Blink and eleven minutes are gone but it was just the right amount to clear my head and guide me into a more peaceful mindset to face the day after release day. 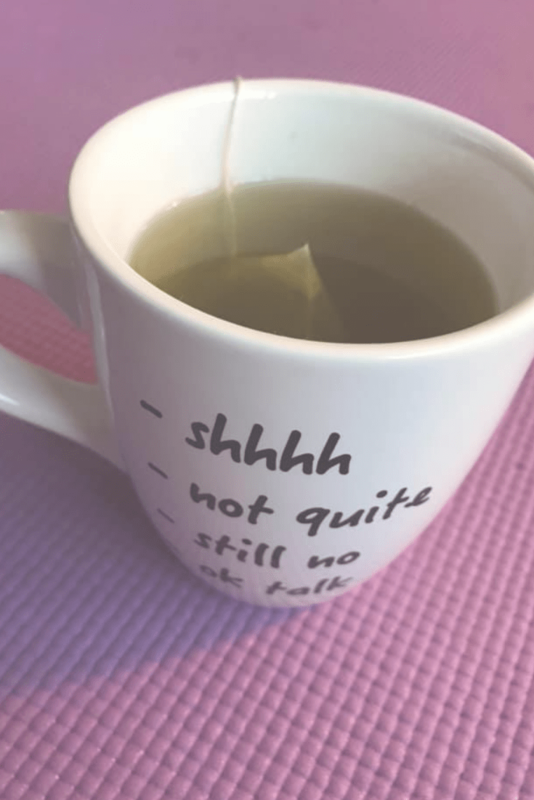 When I was finished with yoga, I treated myself to a cup of green tea and sipped leisurely as I reflected on all that I’m grateful for. I had a new book out (the reviews have been very good and it’s truly a relief), I was working on another, I have a wonderful, loving family and amazing friends and two of the sweetest little dogs who were gently snoring not too far from me. There is so much abundance in my life to be thankful for and I’m especially appreciative of my readers. I heart you! The day after release day was a calm day. Thank goodness! I settled down to work, managed my time online and made sure to get out at lunch time for a walk with the pups. All in all, a really good day. Heck, it’s been a fantastic week. A little crazy but that’s okay. 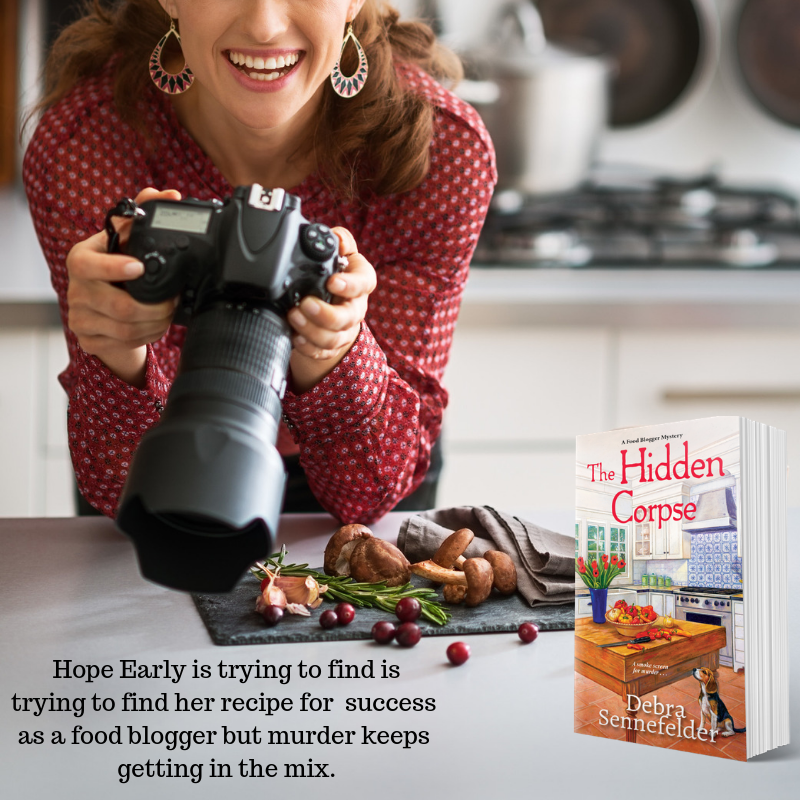 There are a few more days left on the blog tour the THE HIDDEN CORPSE and I’ll be sharing on social media. If you haven’t had the chance to get your copy of THE HIDDEN CORPSE click here for more information about the book and where you can get your copy.